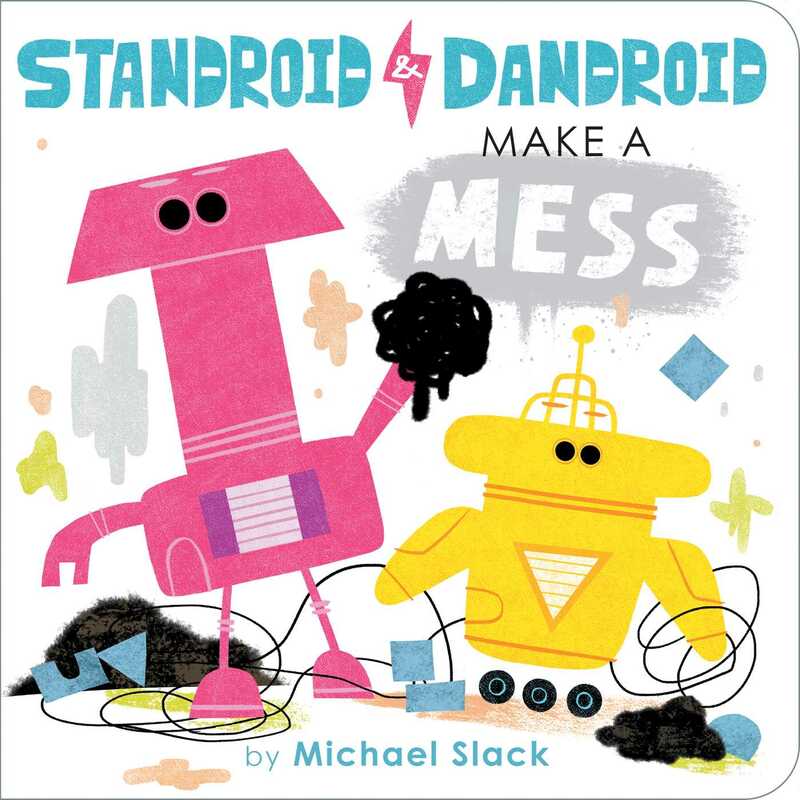 Power up with robots Standroid and Dandroid in this playful board book! When two robots make one giant mess, will they figure out how to clean it up? Standroid’s battery is full and Dandroid’s charging is complete. The two robots are fueled up and ready to play! How do robots play? They crash! crash! crash! And they squish! squish! squish! And they end up making a very big mess! Error! Will the two robots figure out how to clean it all up? Michael Slack is an artist, illustrator, and character designer. 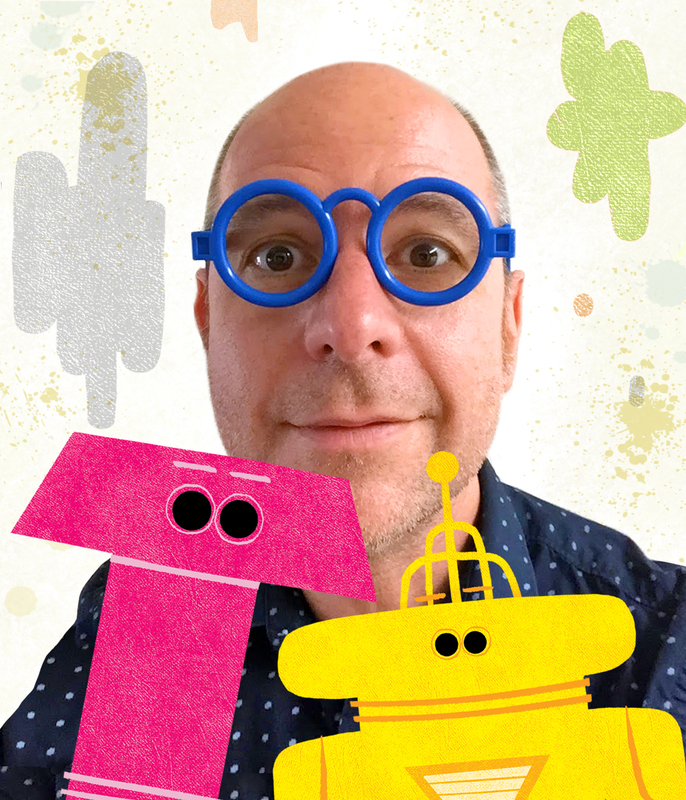 His humorous, character-driven art has been recognized by Society of Illustrators Los Angeles, Applied Arts, Pictoplasma, Computer Arts, and SBS Digital Design. Michael’s illustrations have appeared in books, magazines, and on TV. His paintings and drawings have been exhibited in the US and Europe.